This won’t work on devices without inline playback capability (iPhone…) due to the technical limitations. Styling is in progress. 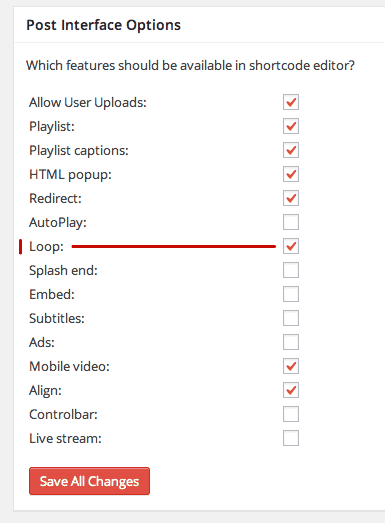 If you are using AB Loop regularly, you should enable AB loop in FV Player Settings screen, under Post Interface settings. 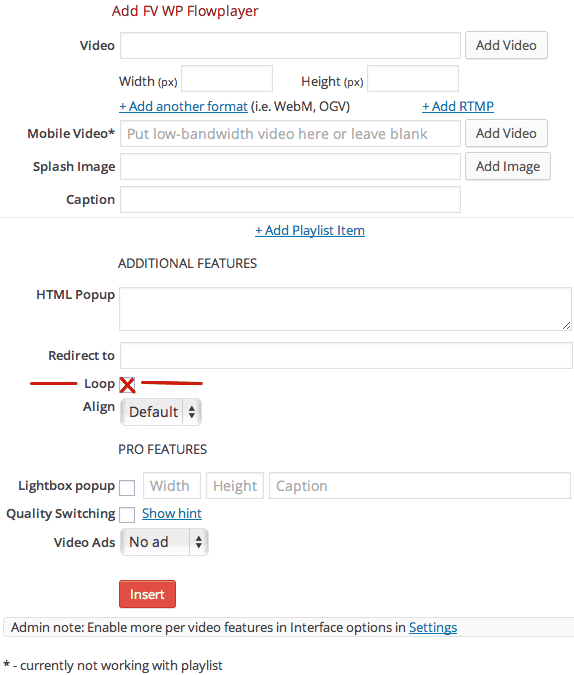 Then with each video you will have an option to just tick a box to enable AB loop for that video. Please let us know in the forums if you have any questions or if our documentation is not clear.